India's gold market, facing short-term headwinds following the demonetisation and introduction of excise duty, will recover on the back of gold demand, which is expected to be around 650-750 tonnes in 2017, a World Gold Council (WGC) report said on Wednesday. 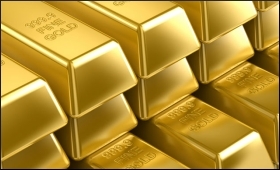 "India's gold demand has fallen sharply in the past, but has then recovered. Previous attempts by the authorities to clamp down on gold have failed: Gold is too intimately ingrained in Indian society. On balance, while demand is likely to improve, our view for 2017 is cautious: we expect consumers to buy between 650 tonnes and 750 tonnes," the report said. Over time, the council anticipated that economic growth and greater transparency within India's gold market would push demand higher and by 2020, it sees Indian consumers buying between 850 tonnes and 950 tonnes. According to the WGC, India's gold industry suffered last year. In the first half, the one per cent excise duty on jewellery manufacturing prompted a 42-day strike and the income disclosure scheme disrupted the black market -- fearing a backlash from tax officials, some consumers postponed buying gold. "...the shock demonetisation initiative caused a liquidity squeeze that affected the entire economy. These policies, combined with fragile rural sentiment and a soaring gold price, pushed gold demand to its lowest level since 2009," the report pointed out. The proposed Goods and Services Tax also could adversely affect the industry in the short term, the WGC said but added that a uniform indirect tax regime will bring transparency in gold's value chain. "GST will streamline India's Byzantine tax structure which, as well as boosting the economy, promises to make gold's value chain more transparent," it added.